Coombsville could expand Napa terroir... but does it? In a way, my entire recent trip to New Zealand was three weeks of “discovery”, so it was hard to figure out what to write about here. I finally settled on the most basic element: there is so much more to New Zealand wine than the Sauvignon Blanc it has become famous for. Sauvignon Blanc still accounts for about 85% of the country’s wine exports — but what about the other 15%? In the US, many wine drinkers are still in the discovering Sauvignon Blanc phase when it comes to New Zealand. This is not surprising, since it’s so different from the light, bright, fruity California Sauvignon Blanc many Americans are accustomed to. New Zealand’s trademark style is heady with green herbs, startlingly citric and sometimes so devastatingly pungent the aromas are (glowingly) described as “cat’s pee.” Those who’ve never tried a NZ “savvy” – as locals call it – may be unlikely to order it after this description. But drinkers who love green herbs, meadows and a lively palate will be delighted by many of these wines. Either way, it’s OK, because there’s a lot more to New Zealand wine. In fact, many savvy (pun intended) wine aficionados have already moved beyond the SB phase – most of them into the bright realm of NZ Pinot Noir. 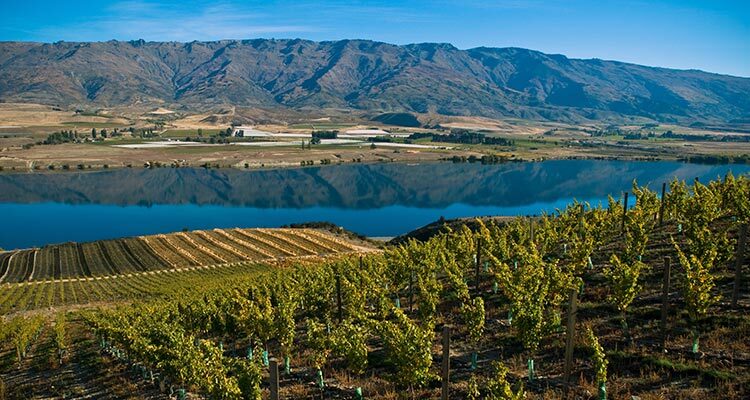 Central Otago is New Zealand’s acknowledged capitol of Pinot Noir (though wineries in other regions do produce some). Located in the middle of the southernmost part of the South Island, the region sits in an idyllic valley centered around a large, picturesque lake that was created when the Clutha River was dammed a few decades ago. In addition to supplying hydroelectric power, this allows vineyards, fruit orchards, sheep and cattle to benefit from this well-managed source of irrigation. Vineyards here (as in the rest of New Zealand) run on sustainable principles, and many are organic or biodynamic. And, as is the case with many wines throughout the country, Kiwi winemakers have developed their own style, one which floats somewhere between New and Old World. Much of the best NZ Pinot Noir has the red fruit we have come to appreciate from the former, yet is built on a classic structure of earthy flavors and fine tannins that mesh beautifully together. Returning to whites, there’s plenty more to enjoy: excellent Chardonnay, Riesling, Chenin Blanc, even Albariño, and others that are relatively rare in the New World. But my first fascination is Pinot Gris, mainly because– though it had not been on my radar until I arrived — I find multiple styles in every wine shop and on every wine list throughout the country. 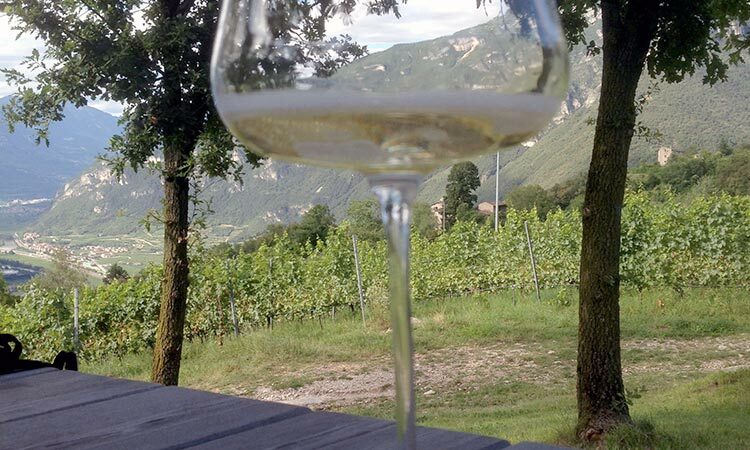 At the outset, Kiwi winemakers made a conscious decision not to use the name “Pinot Grigio” because they wanted to be associated more with Alsatian-style Pinot Gris, not New World or Italian versions. In reality, these wines range from overly simple, sweet and fruity, to sophisticated, well-balanced and delightful, with quality often correlating to price. I didn’t spend enough time in NZ to know for sure, but it seems that the basic level of Pinot Gris functions as an introductory wine for consumers who like a bit of fruitiness and don’t want to think too much about what they’re ordering. Yet I did find quite a few finer examples of Pinot Gris from a variety of wineries around the islands. 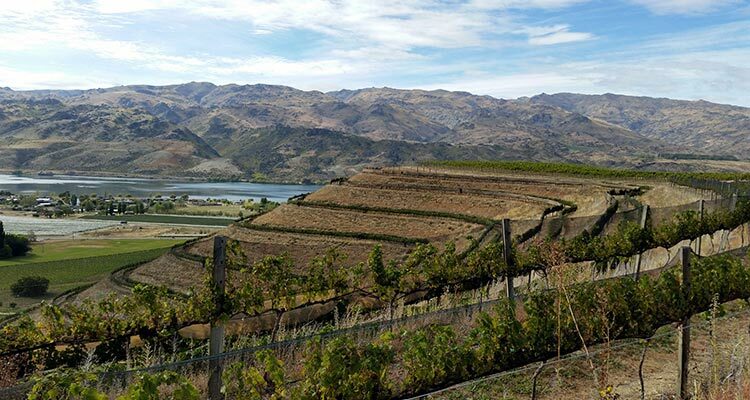 NZ’s syrah winemakers went through the same process of deciding whether to identify with the Old or New World when deciding to call their wines syrah instead of shiraz – and they were so right. This syrah resembles that of the Rhone: a giant mouthful of well-crafted, balanced wine, full of structure, tannin, fruit and a hint of pepper. Though it is made throughout, most of the great NZ syrah comes from Hawke’s Bay, which has the foremost terroir for bright, lively, full-flavored, balanced wines. Here, the legendary Gimblett Gravels and Bridge Pa Triangle areas lead the pack in producing wines of great complexity and balance. 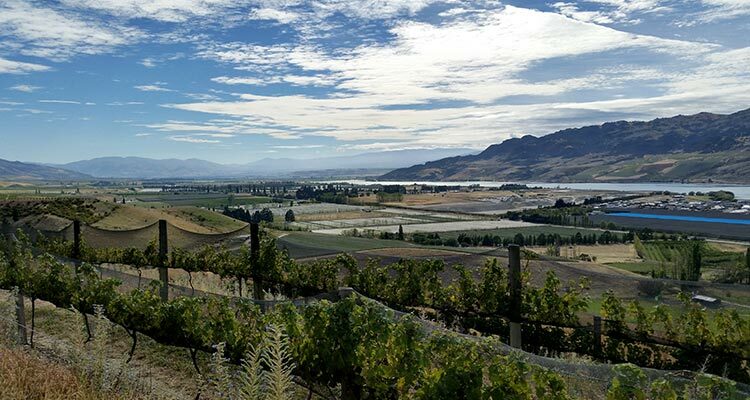 Syrah’s optimum ripeness in most New Zealand regions requires vintners to harvest on the early side — sooner, certainly, than the full hangtime demanded by California and other New World-style wines. Further, a significant number of winemakers have evolved their vinification processes to include whole bunch pressing, leaving stems and skins in with the juice just long enough to add lift, fruitiness and layers of flavor without bitterness. All of the above leads to a quick mention of this wine’s market positioning. 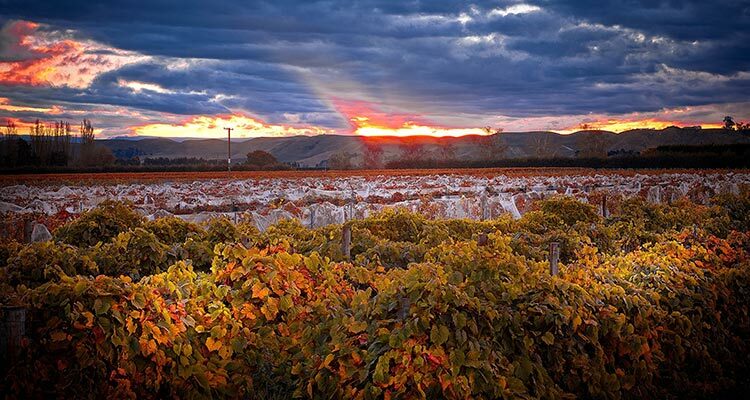 New Zealand is a tiny nation in terms of size and population, and though the country has nearly 700 wineries, many are small and in total produce less than 1% of the world’s wine. Considering the country’s diversity of terrain, variable and idiosyncratic vineyard areas, and time and distance required to export worldwide, production costs are generally quite high. And, to their credit, exporters have not built their market by introducing value wines. Instead they’ve focused on quality, succeeding with consistent, excellent results at appropriate pricing. Nice to see our antipodean brethren getting some props. Agree the syrah coming out of Hawkes Bay is fantastic (try and get your hands on some Waiheke Island syrah too). However, and maybe it’s just me, the Pinot from Wairarapa has it all over Central Otago.